Penelope Pitlane March 721X 1972 N.Lauda/R.Peterson. In 1972 the March 721 was intended as Customer car which was an update on the previous years 711. 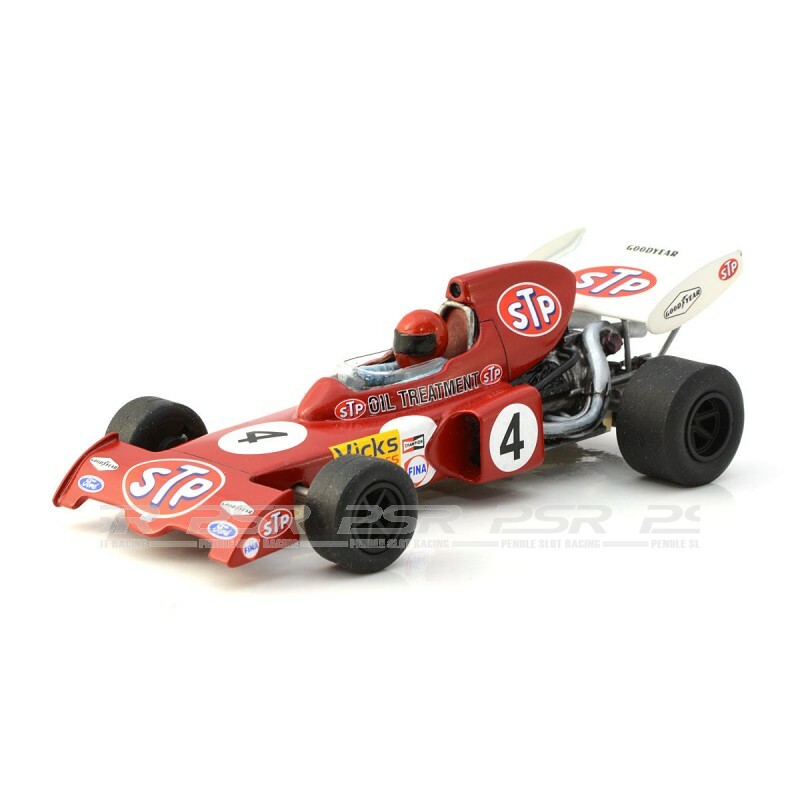 The March 721x was to be innovative and ground breaking. 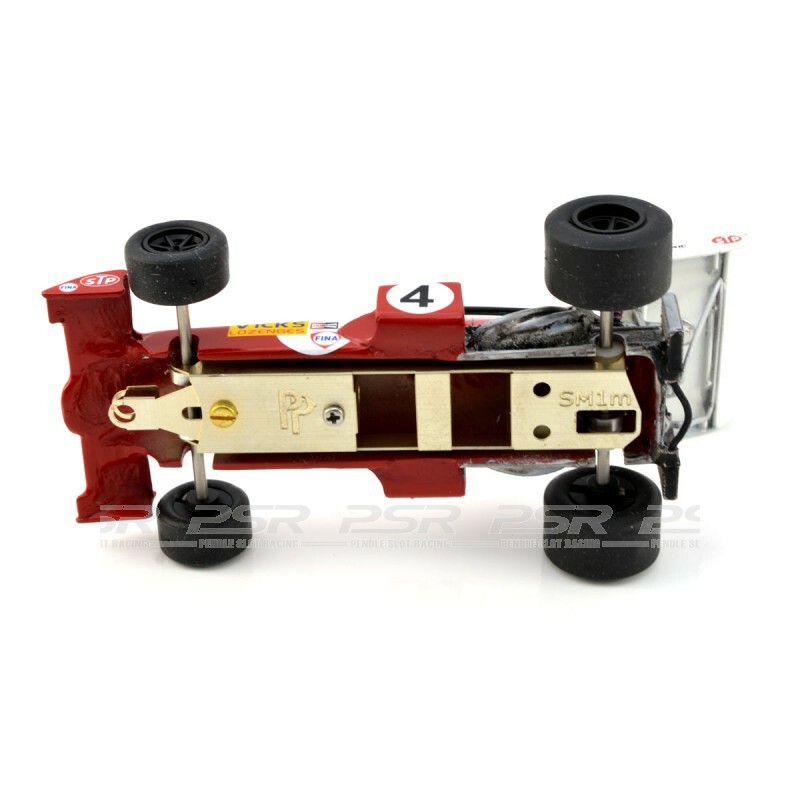 Using a 721 tub with high mounted rear springs working through cranks and levers and to try to create low polar inertia an Alfa type gearbox was placed in front of the rear axle to keep the weight near to the centre. Despite the theory the car was a disaster with unpredictable handling. March's third new car in the season was a 721G, a beefed up F2 car. 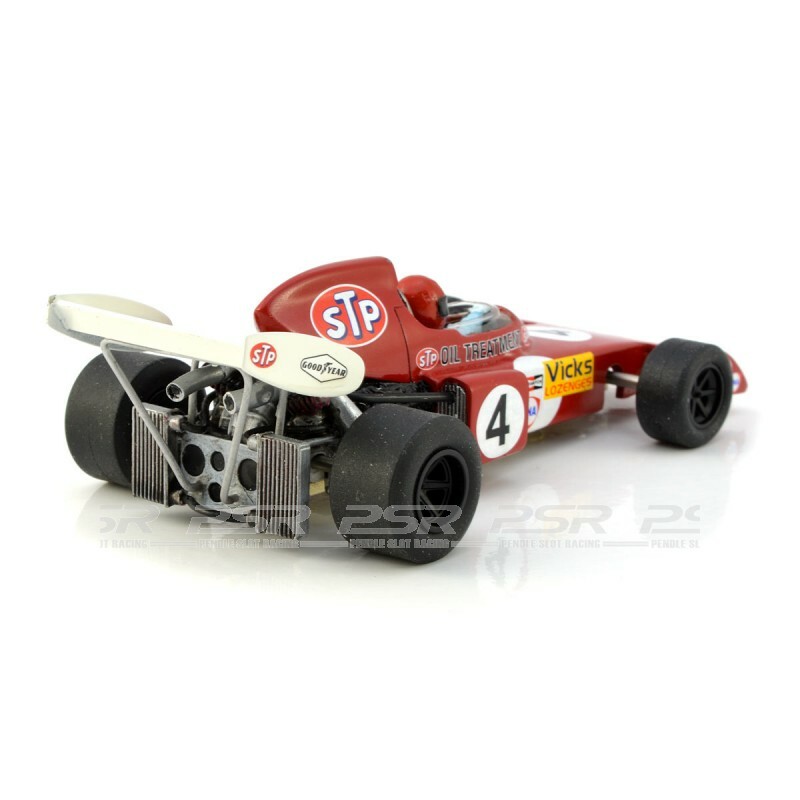 The March 721X is available as a body only kit or a complete kit. The images show the body kit and our example of a nearly finished model just to give you an idea how the body and chassis might look. 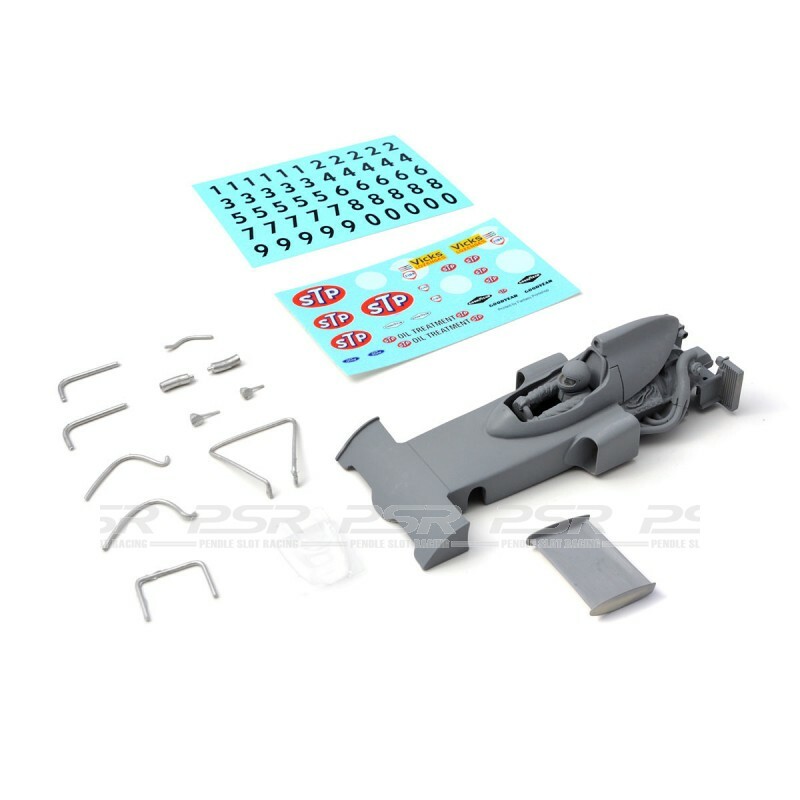 Due to the wide selection of parts included in this kit some of the content may differ slightly from that shown.